There is a naturally occurring substance that has been receiving a whole lot of attention over the last several years. It’s a polyphenol antioxidant called resveratrol found in foods like peanuts, some berries, grapes and consequently, wine. 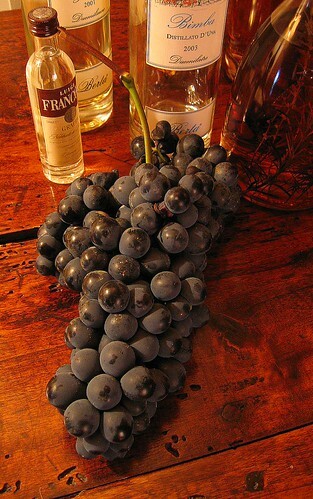 In a new study researchers examined the effects of resveratrol on rats with colon cancer. The rats were divided into four groups according to treatment?one that received a chemical to induce cancer (called 1,2-dimethylhydrazine, or DHM for short), one that received DHM and trans-resveratrol, one that received only trans-resveratrol, and finally, one that received no treatment to serve as a control. Over the course of this 30-week study, researchers had two major goals: to evaluate the short-term effect that this powerful compound would have on DNA damage and to evaluate the long-term effect it would have on membrane lipid peroxidation (the process by which free radicals cause damage to cell membranes). In addition, the researchers measured the levels of circulating antioxidants. In the end, the study authors? conclusion couldn?t be more clear?or promising, for that matter?stating ?results indicate that DMH-induced DNA damage and oxidative stress were suppressed/prevented effectively by chronic resveratrol supplementation.? Another benefit males might be most interested in has to do with estrogen. Resveratrol acts as a potent estrogen antagonist. This means it hinders the negative effects of estrogen. In higher concentrations, it acts as an aromatase inhibitor. Resveratrol has been shown to hinder the transformation of testosterone to estrogen. As ones estrogen goes up the testosterone goes down. This means that it help to halt the body’s natural aging process of whittling away at your Testosterone. Why is this good for men? Because if a substance hinders the transformation of testosterone to estrogen or estradiol, not only does it prevent the malicious effects of estrogen like a decrease in muscle and strength and an increase of body fat, it increases your level of testosterone, which translates into an increase in strength and muscle.